The Kindle Daily Deal is a one-day only offer where a specific Kindle book for adults and one for younger readers (children or young adults) has been hand-selected by the editors at Amazon and significantly discounted for today only. 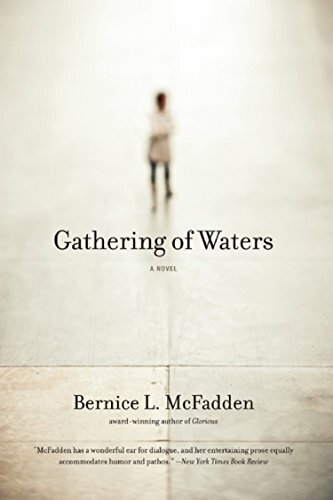 Today’s Kindle Daily Deal for adults is Gathering of Waters, a historical fiction novel by Bernice L. McFadden, and this book was $16.58 yesterday in the Amazon Kindle Store but has been discounted 88% to just $1.99 for today only. This book has received an average user rating of 4.5 out of 5 stars based on 66 customer reviews. 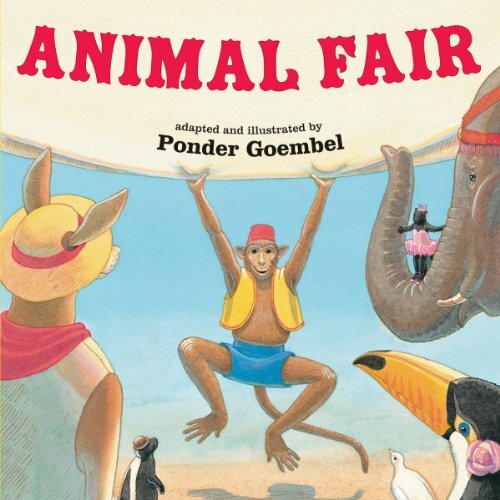 Today’s Kindle Kids Daily Deal is Animal Fair by Ponder Goembel and this book was $9.99 yesterday in the Amazon Kindle Store but has been discounted 80% to just $1.99 for today only. This book has received an average user rating of 4 out of 5 stars based on 25 customer reviews. Gathering of Waters is a deeply engrossing tale narrated by the town of Money, Mississippi–a site both significant and infamous in our collective story as a nation. Money is personified in this haunting story, which chronicles its troubled history following the arrival of the Hilson and Bryant families. Forty years later, after the death of her husband, Tass returns to Money and fantasy takes flesh when Emmett Till’s spirit is finally released from the dank, dark waters of the Tallahatchie River. The two lovers are reunited, bringing the story to an enchanting and profound conclusion. Gathering of Waters mines the truth about Money, Mississippi, as well as the town’s families, and threads their history over decades. The bare-bones realism–both disturbing and riveting–combined with a magical realm in which ghosts have the final say, is reminiscent of Toni Morrison’s Beloved. You can pick up your copy of Gathering of Waters by clicking here or typing in http://smarturl.it/dailydeal into your computer’s web browser. In this adaptation of the popular children’s song “Animal Fair,” there are all kinds of animals doing silly things! The big baboon is combing his hair, the kangaroos are rattling spoons, the bears are juggling pears, and the chimps are swinging on the trapeze. Can you guess what happens to the mischievous monk . . . the monk, the monk, the monk? Cheerful illustrations bring this lively rendition to life. You can pick up your copy of Animal Fair by clicking here or typing in http://smarturl.it/dailydeal into your computer’s web browser. I am going to try posting about the Kindle Daily Deal a little bit different in an effort to decrease the number of posts people receive via email each day – let me know what you think about it in the comment field below this post on either the blog’s web page or Facebook page. The Kindle Daily Deal is a one-day only offer where a specific Kindle book for adults and one for kids (children or young adults) has been hand-selected by the editors at Amazon and significantly discounted for today only. 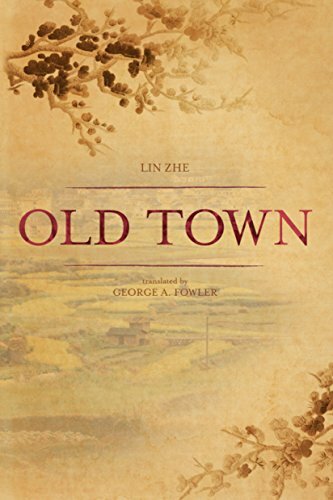 Today’s Kindle Daily Deal for adults is Old Town by Lin Zhe and George A. Fowler, and this book was $4.99 yesterday in the Amazon Kindle Store but has been discounted 60% to just $1.99 for today only. This book has received an average user rating of 4.5 out of 5 stars based on 42 customer reviews. Today’s Kindle Daily Deal for kids is Goodnight, Little Monster by S.G. Redling, and this book was $9.99 yesterday in the Amazon Kindle Store but has been discounted 80% to just $1.99 for today only. This book has received an average user rating of 4.5 out of 5 stars based on 156 customer reviews. You can check both of them out if you click here or type in http://amzn.to/kddeal into your computer’s web browser. Lin Zhe, one of China’s most prolific writers, paints an unforgettable picture of an ordinary family caught up in the maelstrom that was China’s most recent century. Her narrative ranges across the entire length of China, to California and back again, to the battlefields of the Anti-Japanese War of Resistance and the brutal “struggle” sessions of the Cultural Revolution. But it always returns to this family’s home in Old Town, that archetypical, old-fashioned, and vanishing place steeped in the traditions of South China. Ms. Lin examines the inner strength that sustains people’s lives in their darkest hours, when religious and political faith falter. And yet, a vein of irony and droll humor runs through this powerful story. Lin Zhe’s novel may be understood as a love story, memoir, history, or allegory. For the non-Chinese reader it provides a rare and moving insight into Chinese lives in a century of fearsome upheaval. This book was originally published under the title Riddles of Belief…and Love – A Story. You can pick up your copy of Old Town by clicking here or typing in http://amzn.to/kddeal into your computer’s web browser. Little Monster needs to get ready for bed. That means howling at the moon, scrubbing his scales, getting into his creepy PJs, and enjoying a nice snack before bed: worm juice and baked beetle bread. And, of course, Little Monster’s mother is nearby to tuck Little Monster into bed and turn on his night-light—because even little monsters can be afraid of the dark. Bonnie Leick’s soft, child-friendly illustrations rendered in watercolor bring a new and quiet twist to the evening’s bedtime ritual. Sweet dreams, Little Monster! 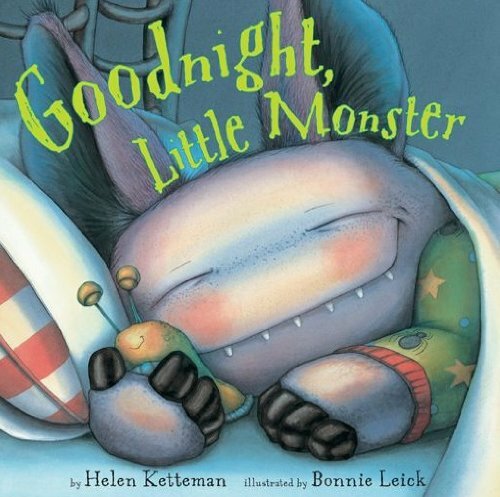 You can pick up your copy of Goodnight Little Monster by clicking here or typing in http://amzn.to/kddeal into your computer’s web browser. 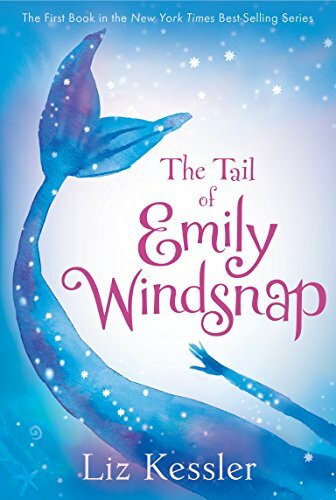 Today’s Kindle Kids Daily Deal is The Tail of Emily Windsnap by Liz Kessler and Sarah Gibb, and this book was $5.99 yesterday in the Amazon Kindle Store but have been discounted 67% to just $1.99 for today only. This book has received an average user rating of 4.5 out of 5 stars based on 80 customer reviews. You can check it out by by clicking here or typing in http://amzn.to/kddeal into your computer’s web browser. For as long as she can remember, twelve-year-old Emily Windsnap has lived on a boat. And, oddly enough, for just as long, her mother has seemed anxious to keep her away from the water. But when Mom finally agrees to let her take swimming lessons, Emily makes a startling discovery – about her own identity, the mysterious father she’s never met, and the thrilling possibilities and perils shimmering deep below the water’s surface. With a sure sense of suspense and richly imaginative details, first-time author Liz Kessler lures us into a glorious undersea world where mermaids study shipwrecks at school and Neptune rules with an iron trident – an enchanting fantasy about family secrets, loyal friendship, and the convention-defying power of love. 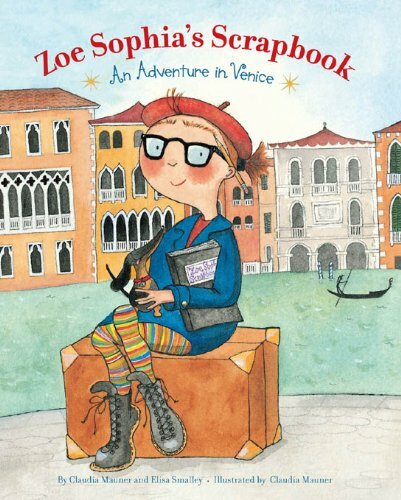 Today’s Kindle Kids Daily Deal is Zoe Sophia’s Scrapbook: An Adventure in Venice by Elisa Smalley and Claudia Mauner, and this books was $5.38 yesterday in the Amazon Kindle Store but have been discounted 63% to just $1.99 for today only. This book has received a perfect 5 out of 5 stars based on 7 customer reviews. Zoe Sophia is a girl who likes adventure and finds it during an exciting and event-packed vacation to Venice to visit her great aunt Dorothy Pomander. Zoe Sophia, along with her dog, Mickey, sees the sights, explores the city, and is involved in a suspense-filled search for her lost pet. Watercolor illustrations capture the essence of these two peas-in-a-pod, their enjoyable relationship, and the beautiful landscape of Venice, Italy. 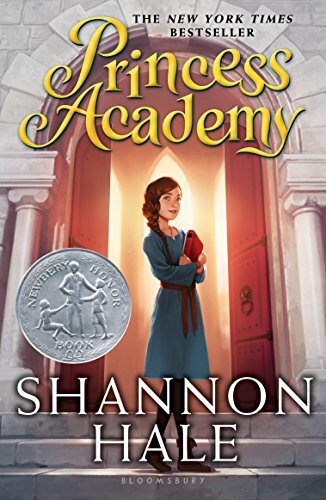 Today’s Kindle Kids Daily Deal is Princess Academy by Shannon Hale, and this book was $4.07 yesterday in the Amazon Kindle Store but have been discounted 59% to just $1.99 for today only. This book has received an average user rating of 4.5 out of 5 stars based on 178 customer reviews. Winner of the 2006 Newbery Honor, this fresh take on the traditional princess story follows the adventures of Miri, daughter of peasant stone-quarry workers. When the king’s priests divine that her village contains the future princess, Miri is sent to learn the ways of royalty in a bitter, dangerous competition. 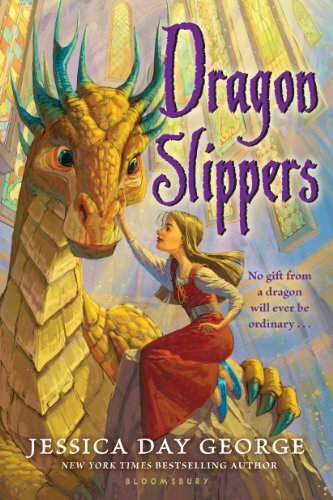 Today’s Kindle Kids Daily Deal is a little different, and contains the three books in the Dragon Slippers trilogy by Jessica Day George, and these books were $5.99 yesterday in the Amazon Kindle Store but have been discounted 67% to just $1.99 for today only. You can check out all three copies by clicking here or typing in http://amzn.to/kddeal into your computer’s web browser. Poor Creel. She can’t believe her aunt wants to sacrifice her to the local dragon. It’s a ploy to lure a heroic knight so that he will fight the dragon, marry Creel out of chivalrous obligation, and lift the entire family out of poverty. Creel isn’t worried. After all, nobody has seen a dragon in centuries. But when the beast actually appears, Creel not only bargains with him for her life, she also ends up with a rare bit of treasure from his hoard, not gold or jewels, but a pair of simple blue slippers-or so she thinks. It’s not until later that Creel learns a shocking truth: She possesses not just any pair of shoes, but ones that could be used to save her kingdom, which is on the verge of war, or destroy it. Jessica Day George makes a memorable debut in this enchanting tale of dragons, betrayals, and the power of friendship. 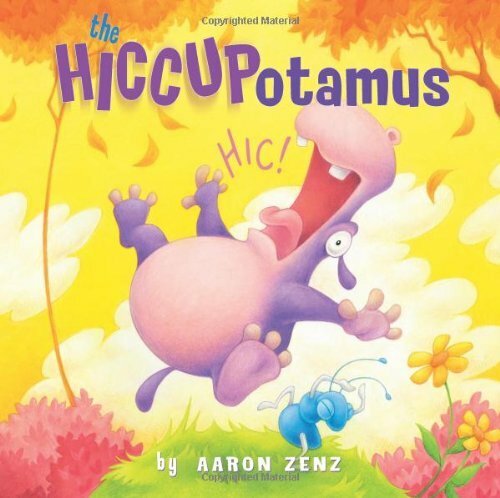 Today’s Kindle Kids Daily Deal is The Hiccupotamus by Aaron Zenz, and this book was $7.59 yesterday in the Amazon Kindle Store but has been discounted 74% to just $1.99 for today only. This book has received an average user rating of 4 out of 5 stars based on 47 customer reviews. Calamity ensues when an elephant, a centipede, and a rhinoceros try finding a cure for hippo’s colossal case of hiccups. Zenz’s creativity shines through with his use of colored pencil in this off-the-wall read-aloud. HIC! HIC! HIC! 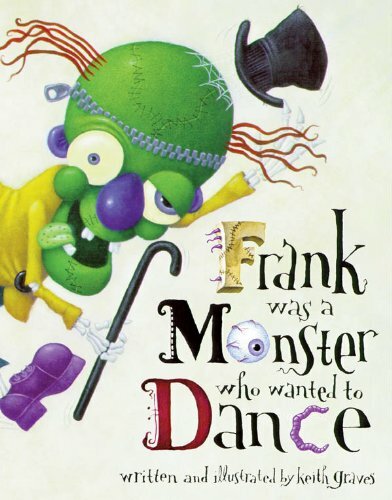 Today’s Kindle Kids Daily Deal is My Monster Burrufu by Alberto Corral and Alessandra Sorrentino, and this book was $3.99 yesterday in the Amazon Kindle Store but has been discounted 50% to just $1.99 for today only. This book has received a perfect 5 out of 5 stars based on 73 customer reviews. 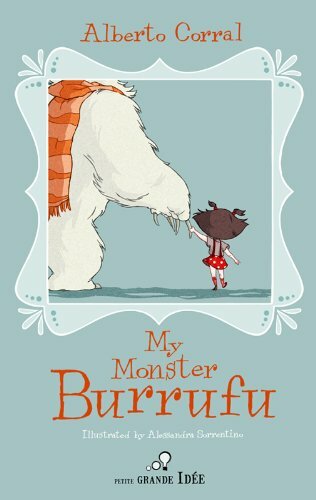 ‘My Monster Burrufu’ is a story of fear overcome, a curse, and a most unusual monster who learns from a little girl how to trust his heart. Similar to the Kindle Daily Deal for adults, the Kindle Kids Daily Deal is a one-day only offer where a specific children’s / young adult Kindle book has been hand-selected by the editors at Amazon and significantly discounted for today only. 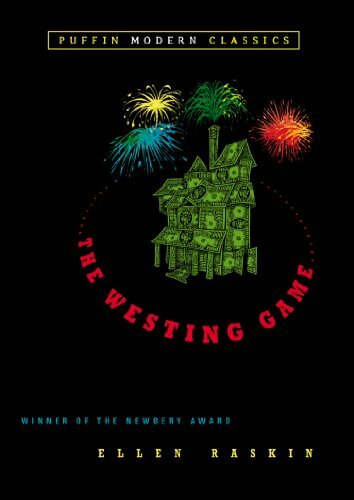 Today’s Kindle Kids Daily Deal is The Westing Game, a children’s / young adult’s mystery by award-winning author Ellen Raskin, and this book was $6.99 yesterday in the Amazon Kindle Store but has been discounted 57% to just $2.99 for today only. This book has received an average user rating of 4.5 out of 5 stars based on 765 customer reviews. For twenty-five years, Ellen Raskin’s Newbery Medal-winning The Westing Game has been an enduring favorite and is now being reissued with a brand-new jacket by Kevin Hawkes and an introduction by Ann Durell. This highly inventive mystery involves sixteen people who are invited to the reading of Samuel W. Westing’s will. They could become millionaires, depending on how they play the tricky and dangerous Westing game, which involves blizzards, burglaries, and bombings. Ellen Raskin has entangled a remarkable cast of characters in a puzzle-knotted, word-twisting plot filled with humor, intrigue, and suspense. Check Out My Other Blog, “Kindle Books for a Buck (or Less),” with a primary focus on the independent author as there are jewels beyond the “name brand” authors. You can check it out by clicking here or typing in http://amzn.to/kb4abuck into your computer’s web browser. Who knows, you might find a new favorite author!